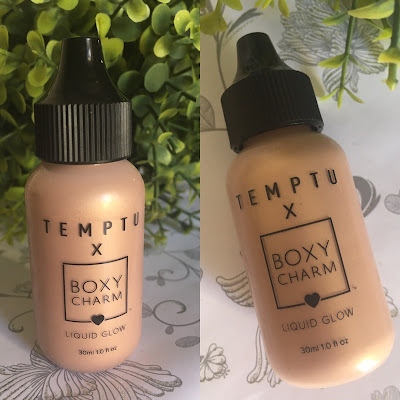 Today I am going to walk you through my May Boxycharm box and what I though about the goodies we received. From the first spoiler all the way to the last one was exciting and it just kept getting better and better. This month's box is worth close to $145, that is about R1900. Getting these boxes is like getting a Christmas present each month (now only if I can stop checking the spoilers it will be a surprise as well), it also allow me to test some products that we can not get here in SA. Let me show you what I got. This month's theme being Makeup is art. Countouring is still a skill I have to work on before I can master it, highlighting on the other hand is something I am trying to understand and enjoy doing. The highlighting shade from left to right are a beige color, banana shade and then a peachy shade. The bottom contouring shades from left to right are chocolate shade, a reddish brown and a deep brown shade. If you are of a darker skin tone I doubt that this palette would be great for you. On my skin they powders work quite well. 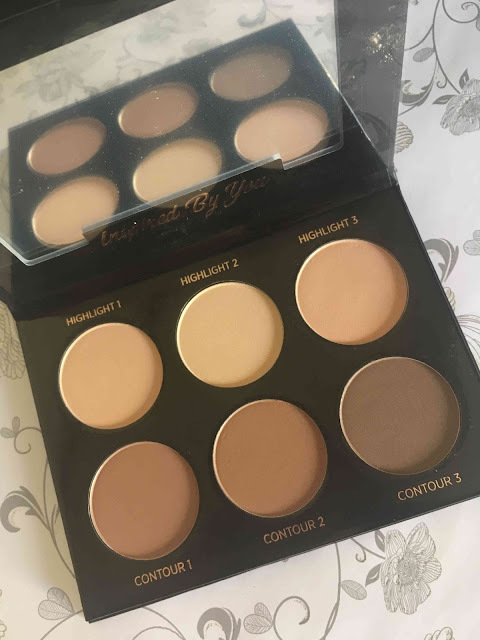 The powders are soft, smooth and easy to blend but unfortunately not very pigmented. This can be a good thing as you can build the color to the deepness you want. 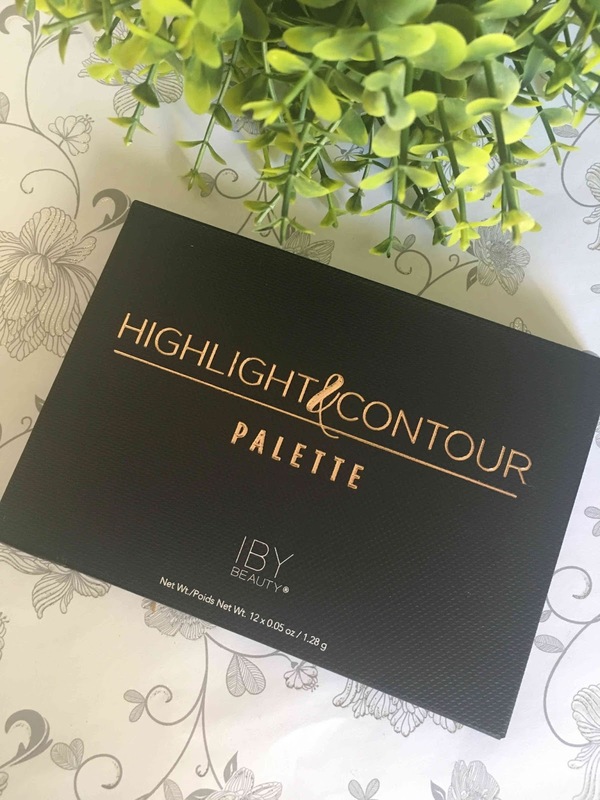 The palette is made from a sturdy card box but has got a decent size mirror and is sightly magnetized and is super compact and sleek. 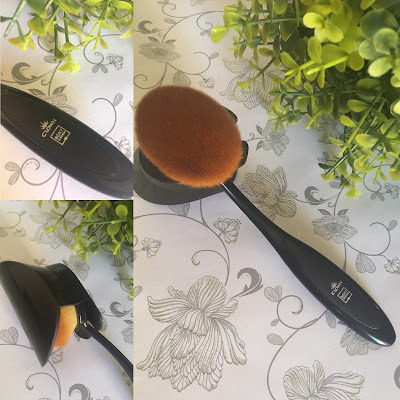 This brush is awesome, the bristles are extremely soft and dense and this allows for a flawless application. It comes with a cover which is perfect for travel or for when you put your makeup on at work. This cover will keep your foundation brush from making all the other makeup dirty. However, I do feel that this brush is very flimsy. The neck is very thin and it bends very easily but so far, so good. This is a double ended brush, on the one end is a spooly that can be used to brush through your eyebrows and on the other end is an angled brush to fill in your brows and create hair like strokes. The spooly is like most other and the angled brush is soft (softer than what I am use to), but it work well. 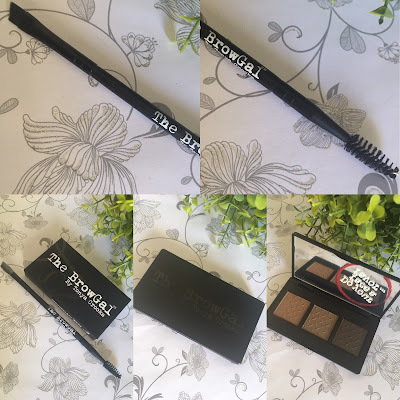 The brow powder can be used on its own or mixed with a medium to crate a pomade. I have tried the powder on its own a couple of times. I found it to an easy powder to work with, but not pigmented at all. it took some time to work this product through my brows and for it to show up. I was very excited when I saw we were getting this highlighter in this box. I am even more excited when I tried it out. It works great with last months PUR sponges, it blends it perfectly. This creates a gorgeous "lit from within" glow, not too much and just enough. It is also the perfect base for a powder highlight if you are looking for that blinding glow. This liquid highlighter is great, it does not sink into fine lines or accentuate the texture on my skin. This is my new favorite highlighter. 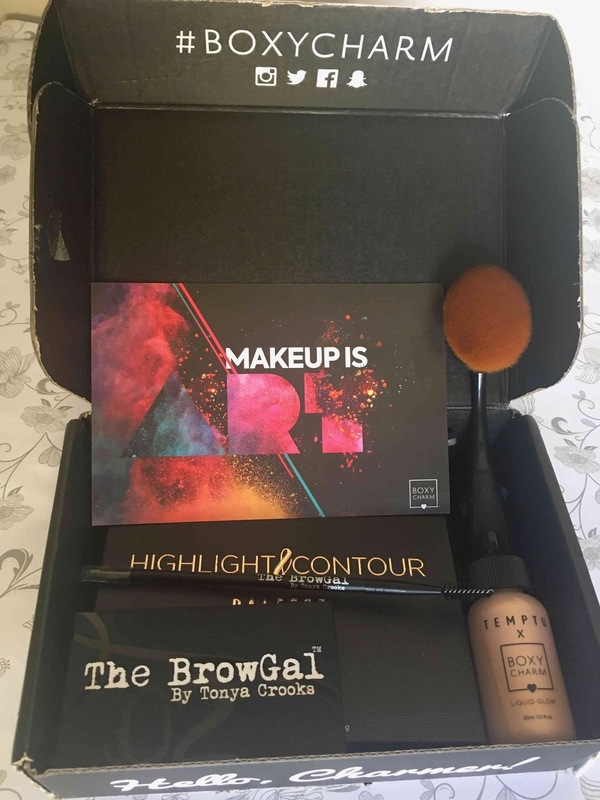 Please check out my friend's post, Simone from an Ordinary Girl also posted her Boxy unboxing. If you want to join the fun please feel free to use my ref link.